Transition to the new Australian Government Post Entry Quarantine (PEQ) facility at Mickleham is on track with handover of the plant compound to the Department of Agriculture and Water Resources expected in mid-December 2015. Citrus varieties still in quarantine at the Eastern Creek PEQ facility will be transferred to the Mickleham PEQ facility in mid-December 2015 and following this the Eastern Creek PEQ facility will be decommissioned. It is intended that plant import stock will be accepted into the new Mickleham facility from Jan 2016, and all stock not released from the Knoxfield site by April 2016 will be moved into the Mickleham site. A new booking system for imported plants is expected to be implemented by early 2016 to allow for better management of stock into the facility. 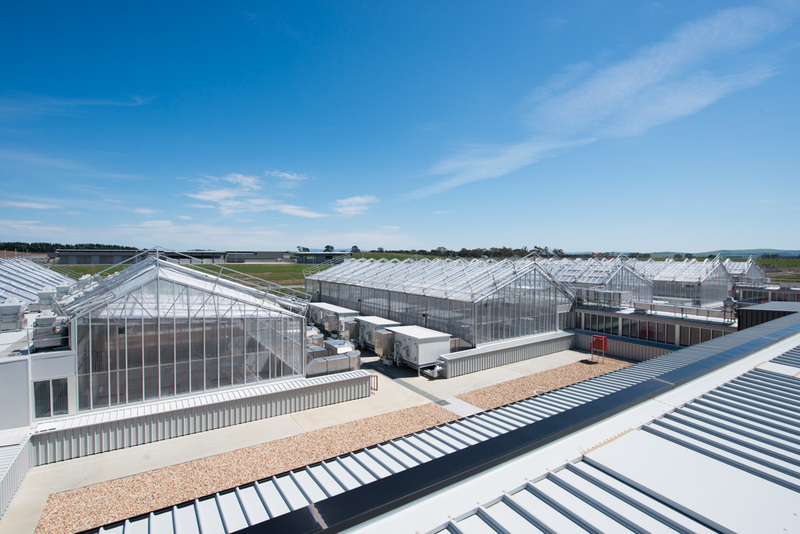 Greenhouse facilities at the new Post Entry Quarantine facility Mickleham Victoria.